I think I came up with these cookies from a recipe somewhere and modified it a bit from there. I’ve been making them for several years and they are always a hit! Mix quinoa flakes, oats, almond meal, baking soda, and salt together in a medium bowl. Mix ghee, vegetable glycerine, and egg together in a small bowl. Blend wet and dry ingredients together until combined. Spoon onto baking sheets lined with parchment paper and flatten a bit with a fork. Let cool for 5-10 minutes before removing from baking sheet. 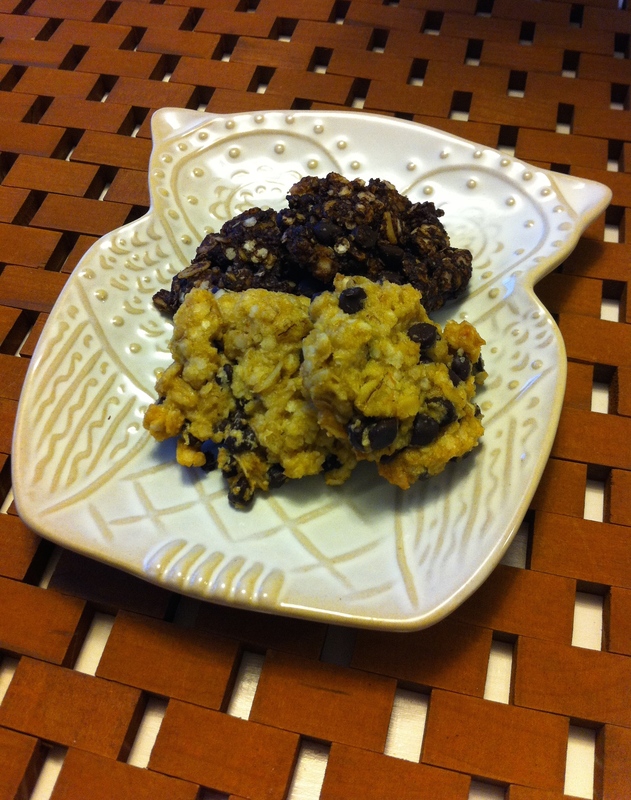 You can also make a chocolate version of these cookies by adding 1/4 cup cocoa. You can also add a bit more sweetener to taste.